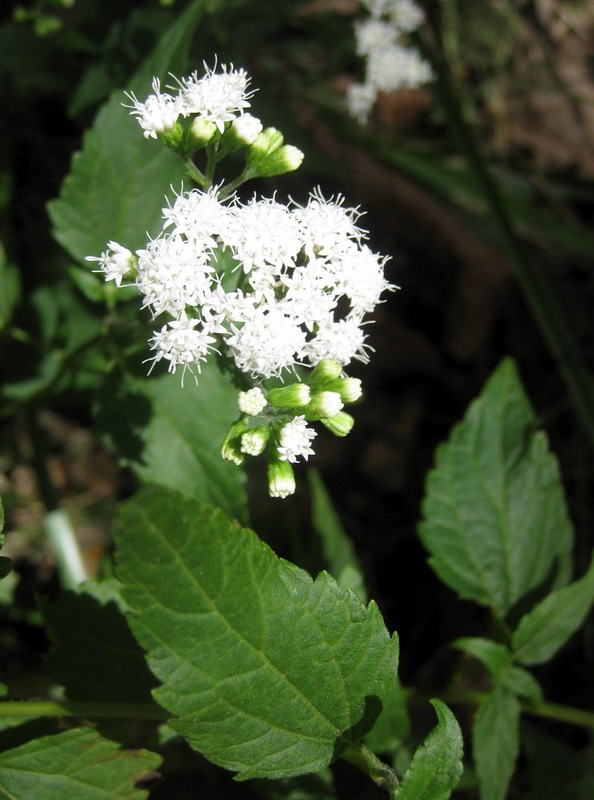 Eupatorium rotundifolium is a perennial herb, 30-150 cm tall, stems stiff, solitary or in twos, most parts finely hairy. Eupatorium rotundifolium leaves. By Robert H. Mohlenbrock. Public Domain. USDA-NRCS Plants Database – plants.usda.gov (Accessed 12/2/2018). 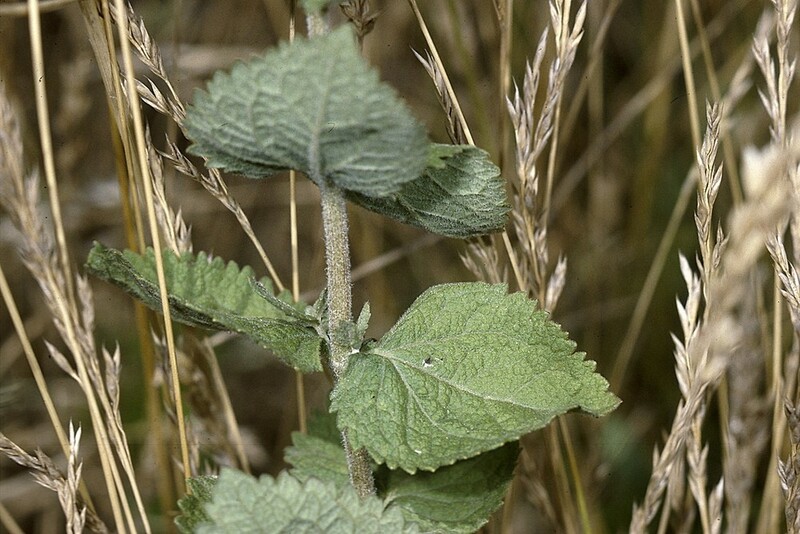 Leaves opposite, stalkless (sessile), blade rounded to broadly egg-shaped, 2-12 cm long, 1-6 cm wide, usually rough above, tip pointed, base blunt, margin toothed, veins palmate at base. Eupatorium rotundifolium flowers and leaves. lohwoman.blogspot.com (Accessed 12/2/2018). 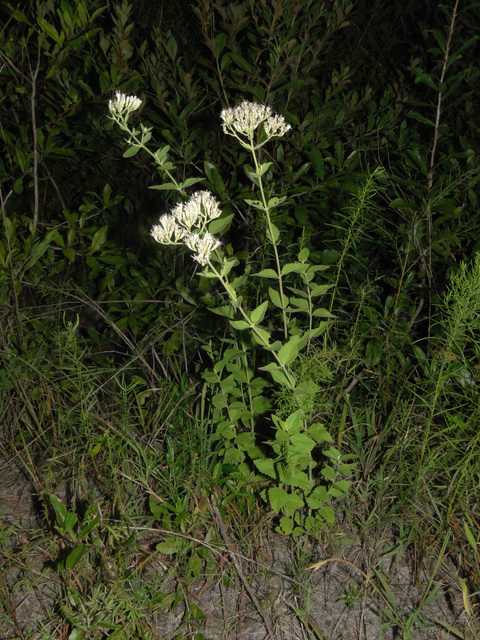 Flowers white, 5 per head, bracteate base 0.5-0.6 cm tall, bracts hairy, minutely glandular, in flat-topped clusters; blooms July-Sept.
Eupatorium rotundifolium in fruit. Richard P. Wonderlin. University of South FL. 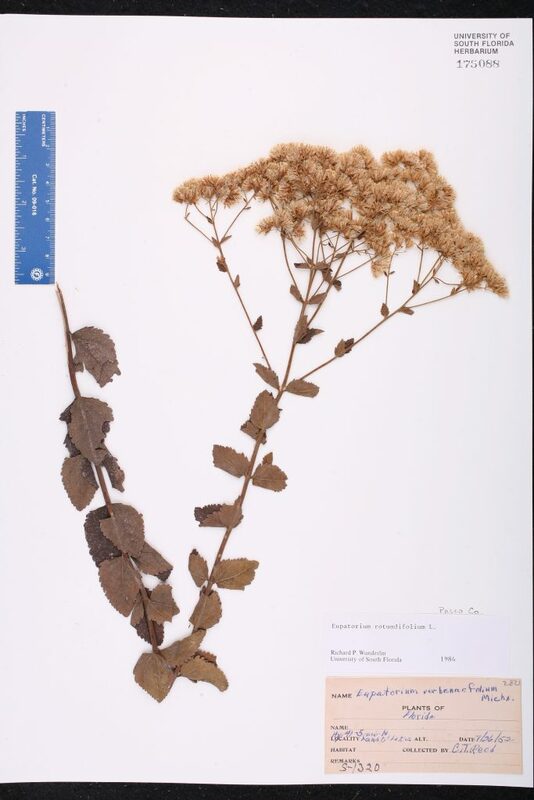 cdn.plantatlas.org (Accessed 12/2018). Fruit dry, 1-seeded, 5-angled plumed achene. Habitat: Open areas, moist to wet soil.